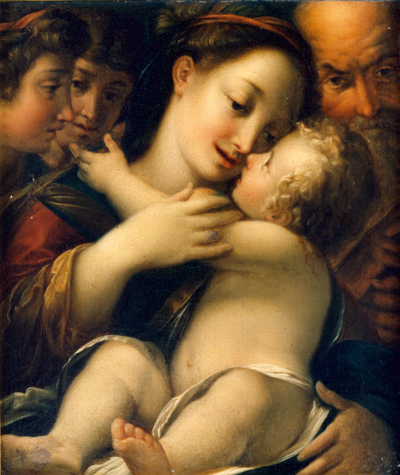 A painting of the Holy Family is part of the “Vatican Splendors” exhibit opening Sept. 19 at the Franklin Institute. Works of art including paintings, sculptures and rare artifacts from the Vatican will be on display just in time for the World Meeting of Families and visit of Pope Francis to Philadelphia this September. More than 200 works of art, 40 percent of which have never been shown publicly anywhere, are part of the “Vatican Splendors” exhibit opening Sept. 19 at Philadelphia’s venerable Franklin Institute and running through February 2016 (see ticket information). Officials with the World Meeting and the institute announced the arrival of the exhibit during a press conference Friday, June 5. Philadelphia is the only East Coast destination for the exhibit in a two-city North American tour. The second city has not yet been announced. The nearly 10,000-square-foot exhibit, organized into 11 different galleries, will consist of significant objects collected by Vatican museums over the span of 2,000 years. 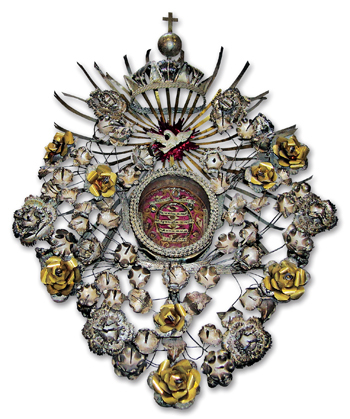 A reliquary in the “Vatican Splendors” exhibit contains a relic of St. Peter. The exhibit includes objects from the ancient St. Peter’s Basilica and tools used in the construction of the 16th century basilica and the Sistine Chapel, artwork by Michelangelo, historical maps, signed documents, a bas relief sculpture, works by Baroque masters such as Bernini and Guercino, intricately embroidered silk liturgical vestments, uniforms of the papal Swiss Guard, artwork that dates to the first century and bone fragments of SS. Peter and Paul as well as relics discovered at their tombs. From underground catacombs to the sights and sounds of the grand St. Peter’s Basilica, the goal of the exhibit is to make visitors to feel as if they were transported to the Vatican. Organizers of “Vatican Splendors” hope to illustrate the evolution of the Catholic Church by highlighting important developments, people and events in history. After the tour, the items will return to the Vatican, from which they may not be absent for more than a year. 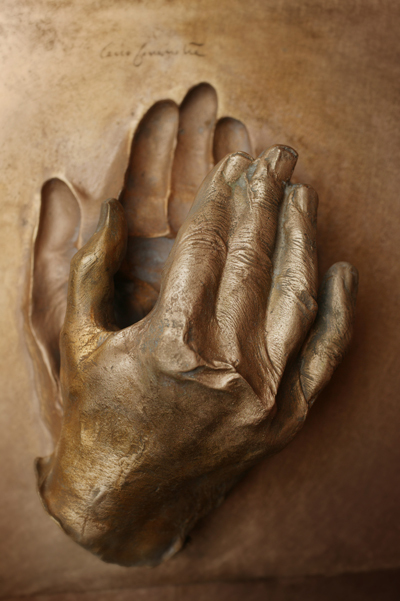 A bronze bas relief of St. Pope John Paul II’s hand may be touched at the exhibit. The only object in the exhibit that visitors may touch is a bronze cast of Pope John Paul II’s hand, which Farrell said she was looking forward to seeing and suspects many families in the city for the September events will also enjoy. 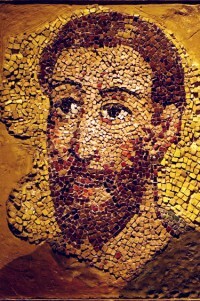 An ancient mosaic of St. Paul is part of the “Vatican Splendors” exhibit at the Franklin Institute. Between the events of Pope Francis’ visit, the World Meeting of Families and cultural highlights such as the Franklin Institute’s exhibit, the eyes of the world will be on Philadelphia for a once-in-a-lifetime experience.